In this special solo episode, I address some common menstruation questions. Unfortunately, periods are talking about enough so, often times, women never truly understand what a normal period is supposed to like. I get asked questions about this topic time and time again by the women in the various programs and groups I run. I realized, if they have these questions, it’s likely you do as well. In addition to this episode, I’ve also written a blog post about this topic called How Much Am I Supposed to Bleed During My Period. How long does a normal period last and what is the bleeding pattern like? Is the period you have on the pill a real one? How does a menstrual cup change your relationship with your period? What are natural ways to improve your cycle? What does the amount of blood say about your health and your hormonal profile? How does your cycle change after coming off hormonal contraceptives? 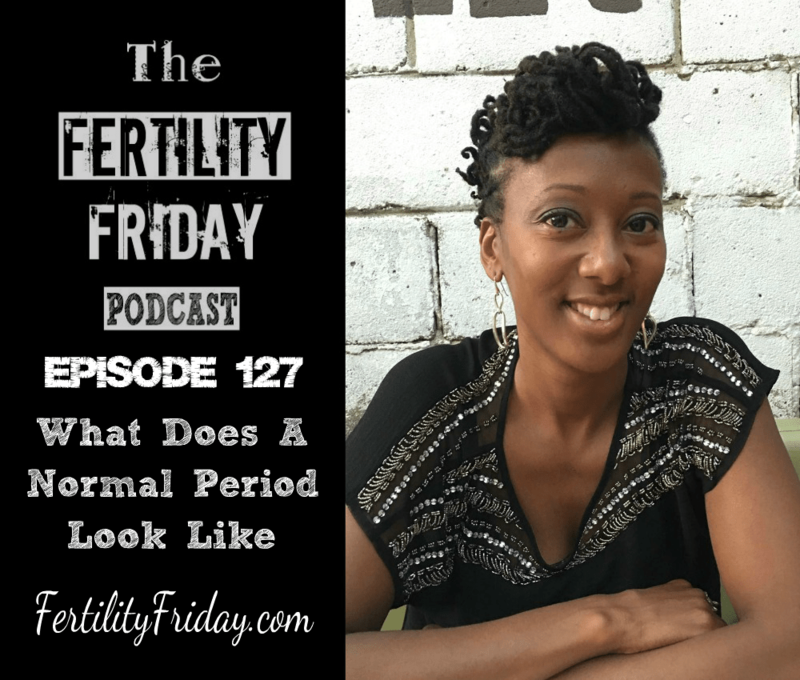 This episode is sponsored by my Fertility Friday Group Programs! Gain clarity and confidence using the Fertility Awareness Method and improve your cycle health at the same time! Click here for more information! I’d love for you to build on this podcast to do a follow-up episode or two on the topic of how much you’re supposed to bleed. Specifically, one focusing on if you bleep too little (what meets that criteria) and what you can do to increase that healthy blood flow. I know you’ve touched on it in different episodes, but it would be really helpful to have a focused episode where all of the information is pulled together in one place. I’m not currently trying to conceive (currently using FAM as birth control and truly appreciating your podcast as a great resource in this process), but eventually I will be, and currently, my flow is really light and short–exactly what you described in this podcast. When you mentioned that having too little endometrial lining potentially making getting pregnant more difficult, it made me realize I should probably be doing more to specifically address that issue before we will actually be trying to conceive. I’ve listed to all the other podcasts in the past, but maybe pulling the info together in one place could help myself and other people trying to go through the list of tips and tricks to improve the quality of that lining and flow. For example, I already eat pretty well, have removed all sources of exogenous hormones, went off birth control over a year ago, get lots of sleep (in the dark, using a sleep mask), etc. Many of these things were changes I made in part from information I learned through this podcast, but I assume there is more I can be doing to improve things. Thanks Linden! Whenever I talk about periods I strike a chord with women as this isn’t something most of us have ever been exposed to. I’ll be going into more detail in an upcoming live masterclass I’m hosting specifically about what is normal menstruation: http://fertilityfriday.com/masterclass/ Make sure to sign up!